Incubadora Gibiteca. Photo: Luiz Pacheco. This Friday (10/8), at 19h, the Gibiteca of Curitiba opened its comic incubator. The new space is equipped with computers, digitizing tables, scanners, clipboards and internet for comics projects. The incubator was named Adilson Orikassa, comic artist and professor of Curitiba Gibiteca, deceased in 2012. The artist edited by 19 years Wacgiada, considered one of the fanzines of greater longevity of Curitiba. Initially, the site will be available for the production teams of nine projects included in the illustration notice, Comics, Cartoon, RPG, Municipal Fund for Culture (public notice 012/18), launched in January, which stimulates the production of comics and the like by artists living in the city. Proponents contemplated were invited to attend the inauguration and, together, It is mounted to the incubator use range. "There's room for more than one project at a time. After opening the scale, the site will also be made available to the community ", says the coordinator of Gibiteca, Fulvius Pacheco. With the incubator, already in the second half to Gibiteca also started to offer course in digital illustration. The classes, which began last week, They have two classes, one in the afternoon and evening. According Fulvio P, classes are already overcrowded. 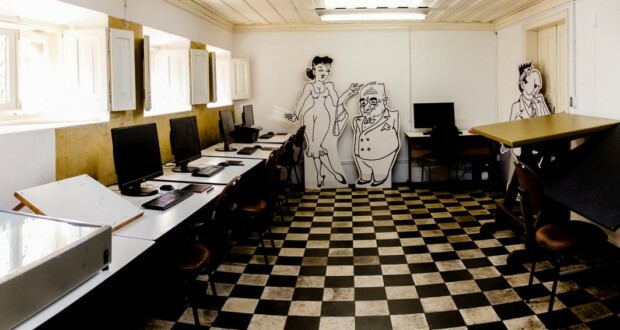 In addition to regular courses digital illustration, the space will be able to be used for free by cartoonists who have an interest in the digital production of its artistic projects. The selection of these works will be made upon review and approval of the proposal by team Gibiteca.